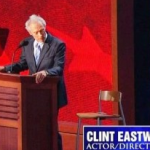 From Mediaite: Thursday night, the Republican National Convention featured a speech from a much-anticipated mystery guest who turned out to be Clint Eastwood. Mediaite reports he “delivered what will probably become one of the most memorable convention speeches ever. 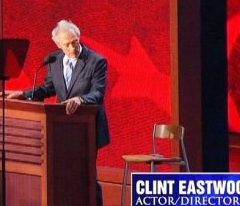 Legendary Hollywood actor and director Clint Eastwood hit the stage running, self-assuredly winging it through a bizarre speech that included a conversation with an empty chair that was supposed to be President Obama, and perhaps the worst slogan ever for a candidate (and a party) fighting an out-of-touch rich guy image… It was a strange speech, to be sure, punctuated by a huge applause line that Republicans will eat up, but which might not play so well with down-on-their-luck working class independents: ‘We own this country! '” Read more about it here. From Gossip Cop: Backstreet’s Back! Alright! This morning, the Boys reunited for Good Morning America‘s summer concert series, performing hits and announcing their comeback. Reports Gossip Cop, “The Backstreet Boys took a break from recording their new album in Londonto perform on “Good Morning America” on Friday. The boy band took over the Central Park stage to play some of their greatest hits — with the help of Kevin Richardson, who recently rejoined the band.” It was the first time all five members performed together since Kevin quit in 2006, and they announced a new album and a 2013 tour. Watch videos of their performances and interview here. 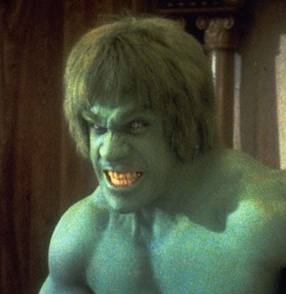 From Geekosystem: Could you become the Hulk without ever hitting the gym? Maybe, writes Geekosystem’s Ian Chant: “In wonderful news for vain but lazy people everywhere, Australian scientists think they have found one of the molecular keys to muscle growth — a protein that promotes weight and muscle mass gain without any of the pesky exercise once associated with it. 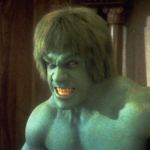 The proteinGrb10 – which scientists have dubbed the ‘Hulk’ protein – seems to have a significant role in promoting muscle growth in animal subjects without any change in activity, diet, or adverse health effects. While researchers have been careful to point out that whether the protein will have the same effect in humans is unclear, that frankly reeks of quitter talk. I’m already cancelling my non-existent gym membership and breaking out a pint of ice cream to celebrate mankind’s victory over exercise.” Read the story here. From Styleite: Last year, Kim Kardashian sued Old Navy for using a model that looked like her. Yes, you read that correctly. Now the lawsuit has been settled, reports Styleite: “Old Navy poked fun at the reality star and her over-the-top lifestyle in a commercial and used a Kardashian lookalike, who was actually Canadian singer Melissa Molinaro. The real Kardashian didn’t laugh, and instead filed a lawsuit against The Gap, who owns Old Navy, for an undisclosed sum. She claimed that the ads would tarnish her reputation. Eye roll. Well, Old Navy fired back by hiring a hotshot lawyer and dug up some personal and financial dirt on Kardashian. Presumably fearing that the investigation would only drag her name through mud, Kardashian settled.” Read more here. From SportsGrid: With the NFL starting next week and college football already underway, it didn’t take long for the first controversial late-game call of the season to happen. Occuring during the Vanderbilt – South Carolina game. Writes Sportsgrid, “While the Commodores were clear underdogs, the first game is always a crapshoot, they had home-field advantage, and they do have some talent, so if they could just keep it close, this was exactly the kind of game where they could be primed to pull an upset. And keep it close they did – so close that, late in the fourth quarter, they were driving with a chance to win the game. Sure, they needed a touchdown against South Carolina’s stingy defense, but they had a shot. It proved, though, to be a long shot: South Carolina forced Vandy into a 4th-and-7 on its own 38-yard line. Vandy went for it. Quarterback Jordan Rodgers (yes, Aaron’s brother) heaved the ball downfield. And then…” Find out what happened here. 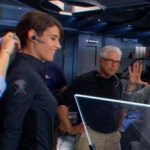 From The Mary Sue: Still haven’t had a chance to see The Avengers? You’re in luck! It’s staying in theaters for a little while longer! Reports The Mary Sue, “Coming off the box office highs (and lows) of what was undoubtably The Summer of Avengers, Marvel isn’t ready to relinquish its hold on audiences quite yet. No doubt, many of us are perfectly willing to keep the summer party going just a little bit longer. The comic -and now film- juggernaut has announced an extended release of The Avengers through Labor Day on its website. 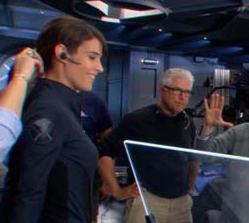 Consider it a last hurrah to tide us over until the studio’s already-in-shooting Phase 2 begins in May 2013 with Iron Man 3, followed by Thor: The Dark World.” Read more about Marvel’s plans here. 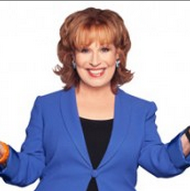 From The Jane Dough: The site had a chance to interview Joy Behar about her new show, “Say Anything!” which airs September 4th. What did they learn? That Ellen Barkin, Jane Fonda, Michelle Obama, Elizabeth Warren, Nancy Pelosi, Lena Dunham, Diane Keaton, Carol Burnett, Sarah Silverman and Susan Sarandon are some women she’d love to have on the show. “That’s definitely an interview we’d like to see,” says The Jane Dough of the idea of Girls creator Dunham sitting down with Behar. And more importantly, what does Joy make of Fred Armisen’s “Saturday Night Live” impersonation of her? “He has me down,” says Behar. Read more here. From The Braiser: Think juicing is just an expensive, pretentious food fad? Think again. 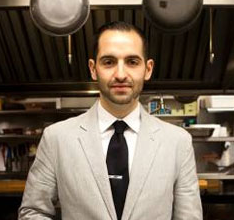 Reports The Braiser, “Mario Carbone is one of the chefs in charge of a miniature Italian-American food empire in New York City (led by Parm and Torrisi), and as a result is surrounded daily by pastas and ricottas and chicken legs. But most days, according to his weekly food log for Grub Street, he’s guzzling juice…. We mean actual juice. A good percentage of his meals of the week are juices, which he attributes to the fact that it’s a very simple beverage. 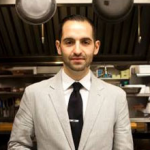 ‘I think chefs like juicing because it’s a nice, clean product,’ he noted.” Read more about Carbone and juice here.